Gianni Buquicchio noted the importance of restarting the Supreme Court. The President of the European Commission for Democracy through Law (Venice Commission) Gianni Buquicchio visited Ukraine on Friday, 15 December. 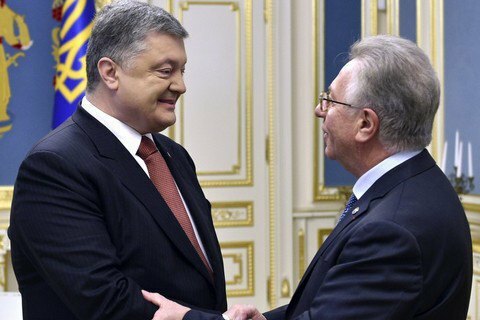 President Petro Poroshenko at a meeting with Buquicchio discussed the judiciary reform in Ukraine, particularly, the formation of the Supreme Court and the creation of the Anti-Corruption Court. Buquicchio said that the implementation of judicial reform, including the restart of of the new Supreme Court, is of great importance not only for Ukrainian citizens, but also for foreign investors. "Justice is a prerequisite for attracting investors," he stressed. The head of the Venice Commission said he has been closely following the situation in Ukraine since 1996. In his opinion, things have recently moved in the right direction. Buquicchio was in Ukraine last year for an international conference on the occasion of the 20th anniversary of the Constitutional Court of Ukraine.